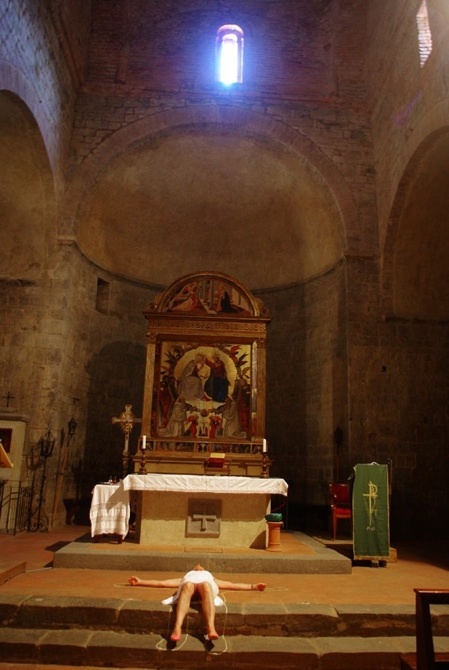 I’ve always been fascinated by the relationship that exists between the churches whose plan is in the shape of a Latin cross and the analogy with the human body: the head coincides with the apse, the arms with the transepts, the whole body with the nave and the feet (so impure) with the exit. 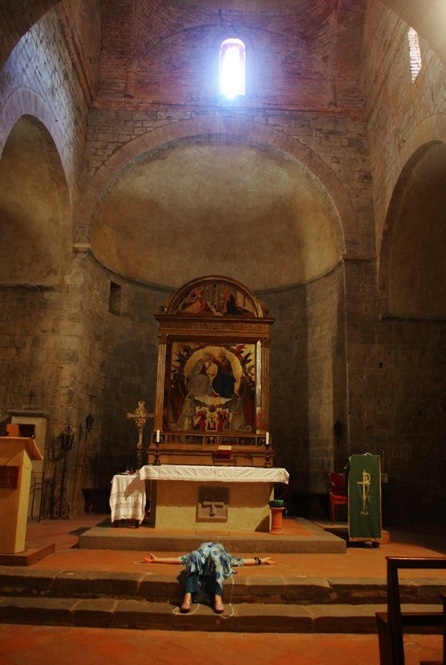 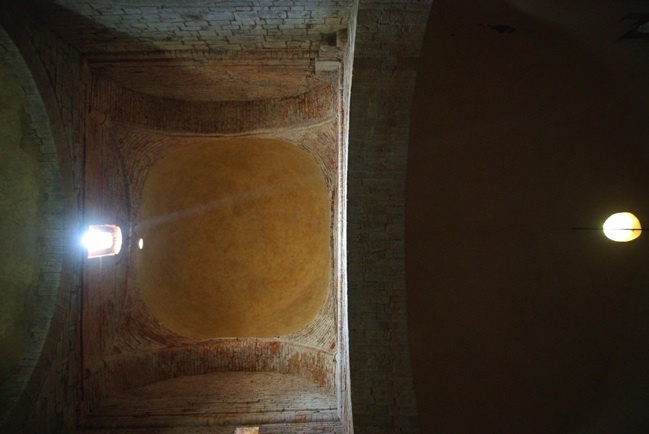 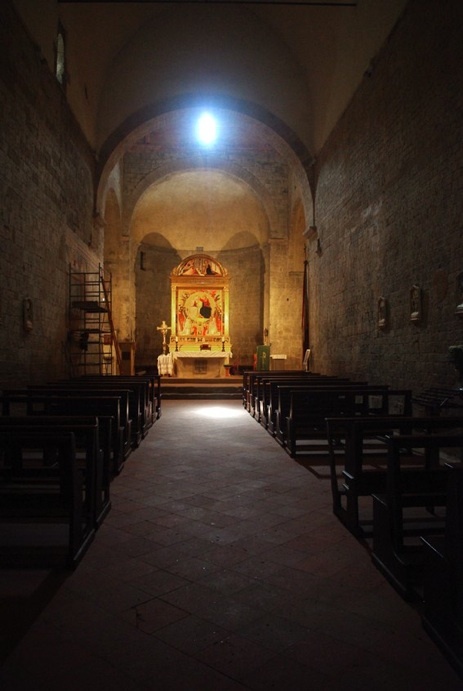 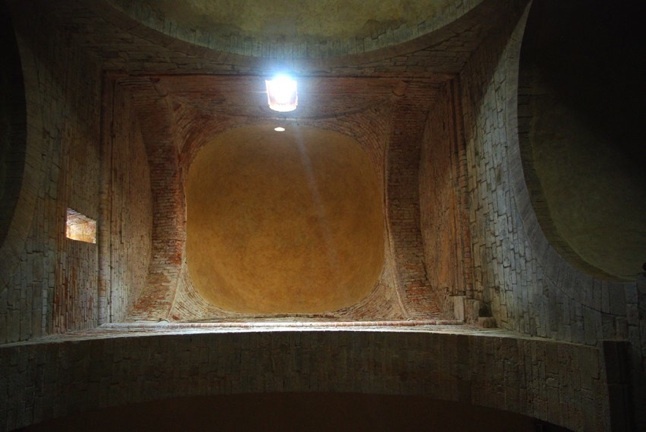 The Romanesque church of Badia a Ruoti then presents a particular asymmetry in the plan and in its construction. 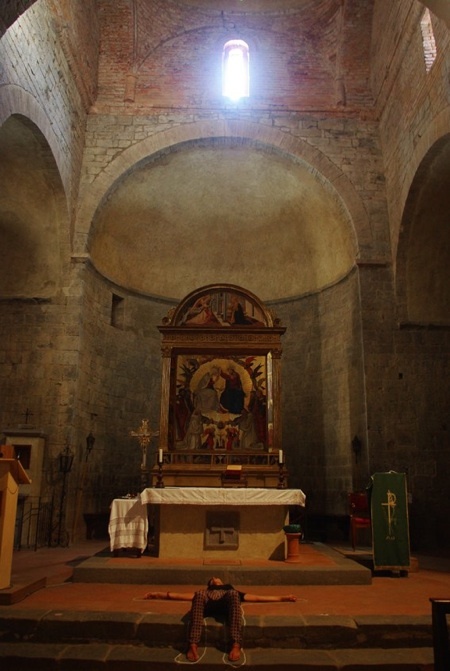 The apse “hangs” on the right; there is no space between the end of the central arch and the beginning of the right transept’s arch. 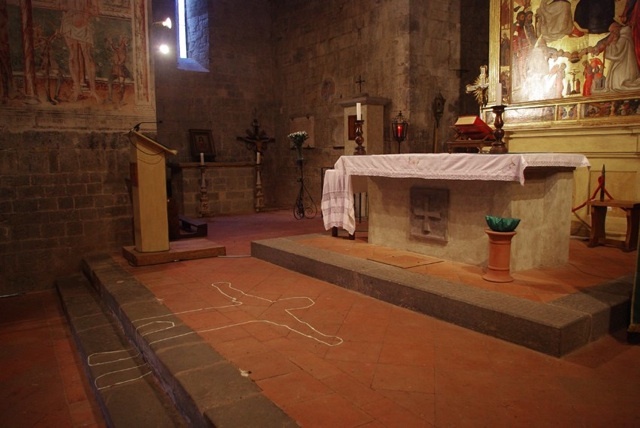 Conversely, there is half a metre of space if not more on the other side, between the end of the central arc and the beginning of the arch of the left transept (which is also lower that the other). 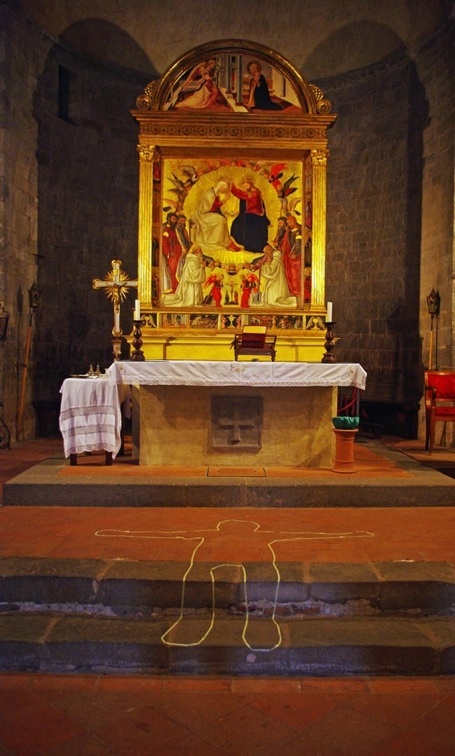 It has been said that this anomaly is a detail defined by the monks who built the church in order to symbolically recall the body of Christ on the cross, whose head is famously portrayed reclined on the right-hand side. 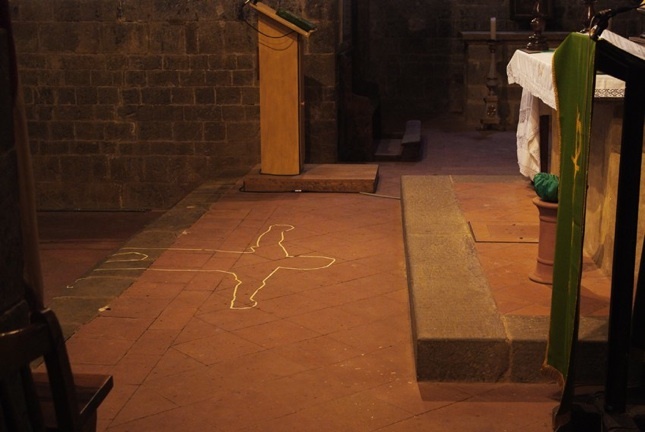 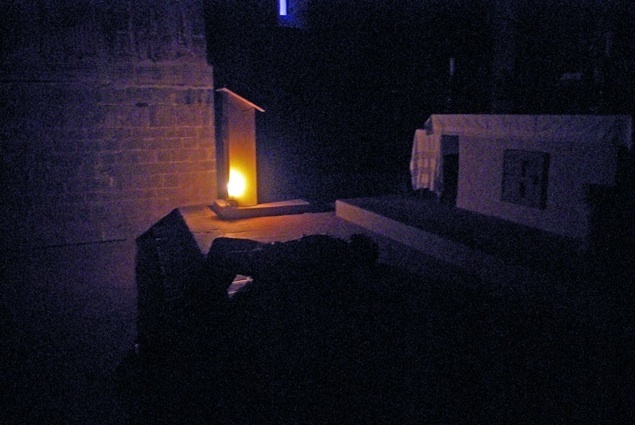 I wanted to focus on the relationship between body and monumentality, welcoming only one visitor at a time and asking him/her to lie just beneath the altar, inside a silhouette I designed on the floor. 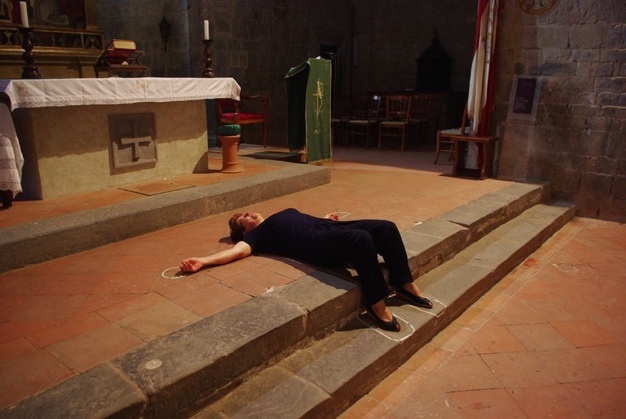 In that position the body fully corresponds to the scheme I previously introduced about the relationship between the church’s architecture and the anatomy of the human body. 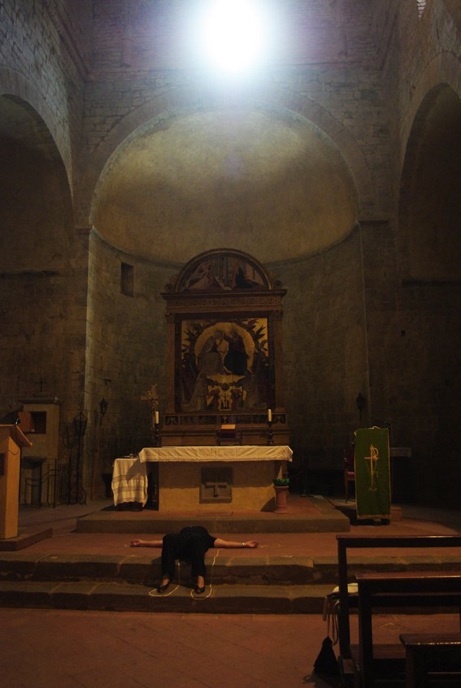 I then helped each visitor to visualize the asymmetry of the church (hard to notice at a first glance) taking their head in my hands and gently turning it to the right. 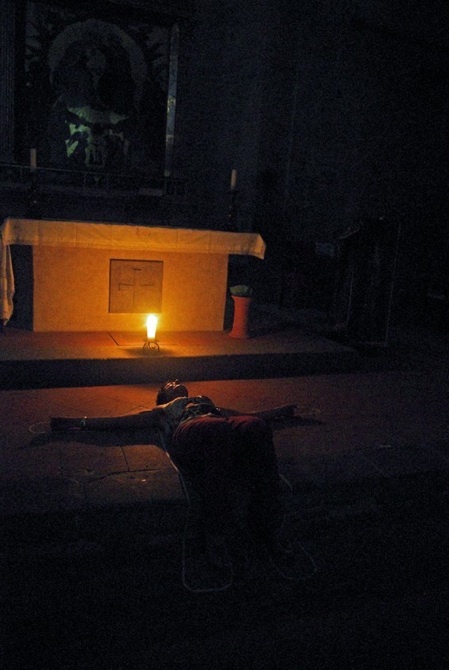 Finally I tried to allow few minutes of silence to let the visitor breathe and perceive the dimensionality of the church as a personal and emotional extension of his/her own body. 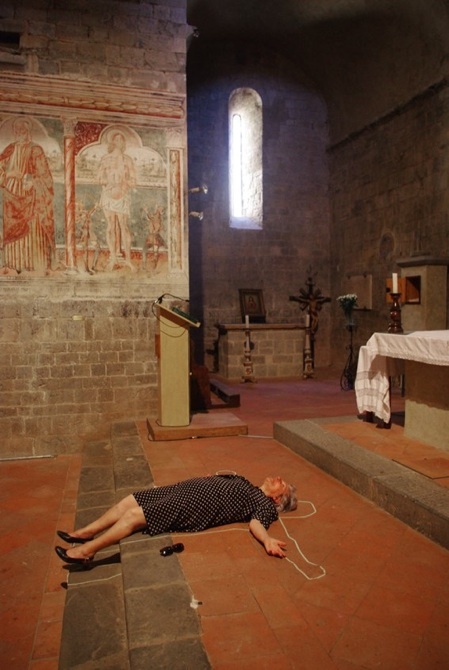 Raffaella Barbato, Luca e Dario.